So yeah, hearing something like that from Alona was beyond awesome. I don’t think that it’s possible to love her more! I’m sooo glad that I had the chance to meet her again. And this time the pic from the photo op with her is really great as well. Btw, I was not kidding as I mentioned that I started to completely fangirl over him. I always loved Andy… but God… Gabe? I LOVE him. 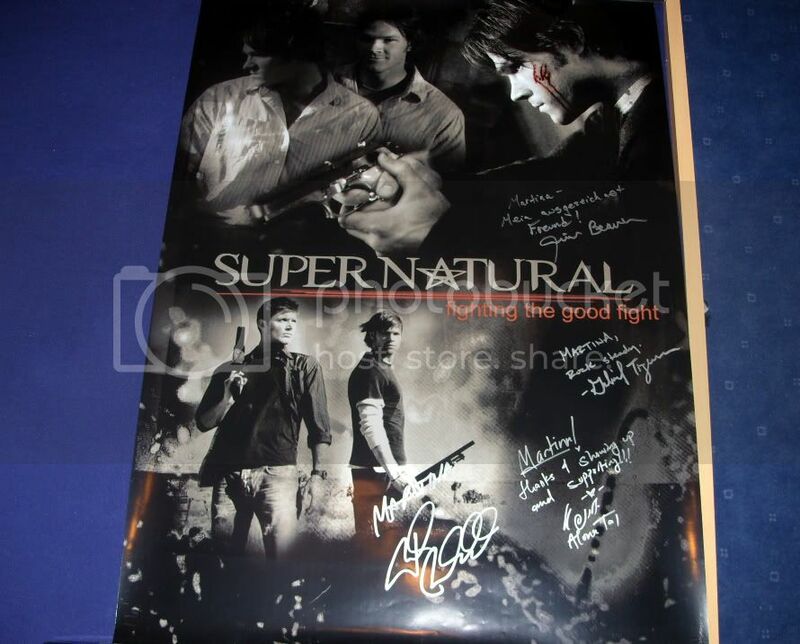 Well yes… that’s the story behind the “mysterious” poster and my autograph ops with the stars. I'm having trouble getting the picture to load right now (I'm not on my usual computer), but I'm glad that you had such a positive reaction to the poster. Oh I did, didn't I? I might have blushed ferociously throughout the weekend, but all the reactions were just too cute and definitely something special to remember! Can I adopt them? all of them? Pretty please? awww, thank you :-) These little stories are definitely something I'll never forget and made the con even more special! Well, I can just say: They were right! All of them! Your poster is AWESOME! I ♥ it, too! And you're stories?! ♥ Absolutely lovely! :-) Glad that you've had such a wonderful time! 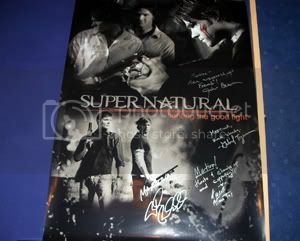 that poster IS awesome!! Good stuff hun! !